Minister Alan Baker is a native of Baltimore, MD. and has been a part of the Huber Memorial Ministerial Team since 1998. He strives to live up to the mandate, to proclaim the Gospel to the ends of the world (Matthew 28:19-20), demonstrated by his commitment and service to the evangelism ministry Operation Burning Light, the Nursing Home Ministry, the Substance Abuse Ministry and the Missions Ministry. Min. Baker also teaches Pre-membership classes. Min. Baker is married and is a graduate of the Baltimore School of the Bible. Reverend Connie Lipscomb, born in Raleigh, North Carolina. Graduate of North Carolina Central University in Durham, NC where he earned a Bachelor's of Business Administration Degree in 1978. He received Jesus Christ as Savior at an early age, but rededicated his life to Jesus Christ and began to serve the Lord in at Savior Baptist in Waterloo, Iowa in 1981. Upon relocating to Baltimore in 1984, Rev. Lipscomb and his family united with Huber Memorial Church. Immediately he and his wife began serving the Lord in the leadership of Youth Ministry. He has functioned in many roles and ministries within the church. He was licensed to preach the gospel in March 2003 and ordained in March 2011. Rev. Lipscomb continues to serve in various ministry roles, teaching, preaching and counseling. Rev. Lipscomb is a faithful husband, devoted father, son, brother, mentor, role model and friend. He is married to Sis. Tameria Lipscomb of Fayetteville, NC his college sweetheart. They have three children and three grandchildren. Tremayne, wife Simone, children Tremayne Jr. and Autumn; Christina, daughter Shanyia and Matthew. Minister Howard McLain was born, raised and received most of his education in Baltimore, Maryland where in 1985 he graduated from Baltimore City College Senior H.S. In May 1991, he was liscensed as an Associate Minister of the New Psalmist Baptist Church. While there, he served with the Discovery Youth Ministry and the Prison Ministry. In 1992, Min. McLain served as Associate Minister under the guidance of Pastor Trent Hayes of Grace Baptist Church. While there, Min. 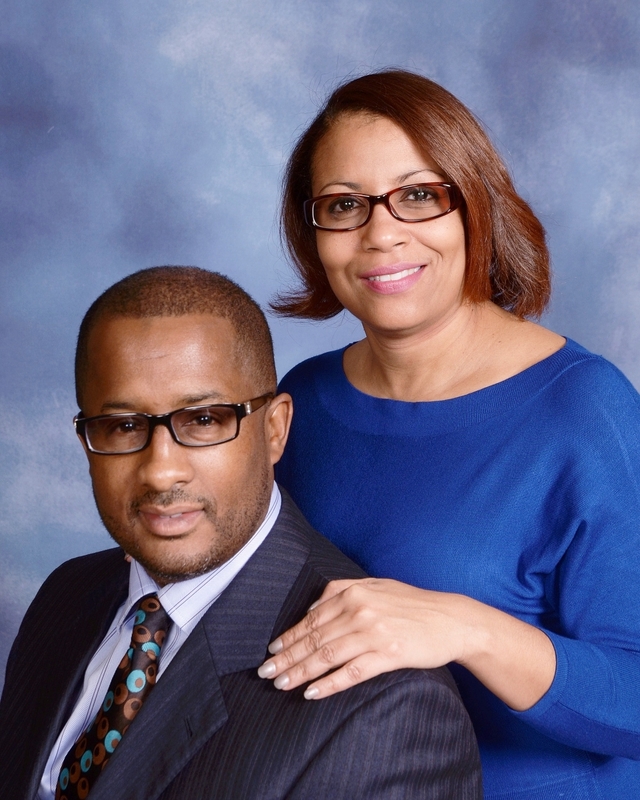 Mclain was afforded opportunities to refine his gift of preaching and teaching the Word of God through regular preaching opportunities, teaching Bible Study and Sunday School, and being the Director of the Youth and Young Adult Ministries. Min. McLain and his family joined Huber Memorial Church in October 1997. Since joining Huber, he has been given occasions to discover, grow in and excercise his gifts. He has become a part of the Ministerial Team in 1999. He nows serves as the minister to the Chosen Generation Ministry for young adults and Bible study teacher. Min. McLain is married to Sis. Tonya and they have two daughters, Christin and Asia. Reverend Clyde Spicer, Jr. was born as the eldest child of Bernice and Clyde Spicer in an East Baltimore neighborhood. Baltimore has always been in his thoughts no matter where he lived in the world. There is no better place to live than Baltimore. As the eldest of five children, he was responsible for their movements in and around the city. He took his role seriously, and that aspect of his personality has carried over into his relationship with his family. Today, he is married to a fine woman, Cassandra, and they have three great children, Marcus and Owen as well as a lovely daughter, Shannon. Late in life, he developed another equally important relationship that will led him from this earthly place to glory with Christ Jesus. His relationship with Christ has taken over his life and the path he now pursues. Through his journey with Christ he was led to Seminary at Wesley Theological Seminary and the field of Pastoral Care. He has been a staff Chaplain at Washington Hospital Center, Johns Hopkins Hospital, St Elizabeth's Hospital, and Good Samaritan Hospital. He had also been Interim Pastor at Southern Maryland Faith Community Church and served at Heritage Memorial UCC Church. His heart has been faithful to the Pastor and people of Huber Memorial Church for over twenty years. There have been so many intangible rewards following Christ and clinging to the Word of God. As he has been supported through various crises in my life, he has been called to support others through the crisis points in their lives. That has been a challenging, but fulfilling journey. One passage of God's Word that inspires me to pursue Christ daily until the end: As for God, His way is Perfect…2 Samuel 22:31. When he first came to Christ, someone once said to him, "The forgiveness of God is the foundation of every bridge from a hopeless past to a courageous present." He has taken that thought that God would forgive him then lead him.